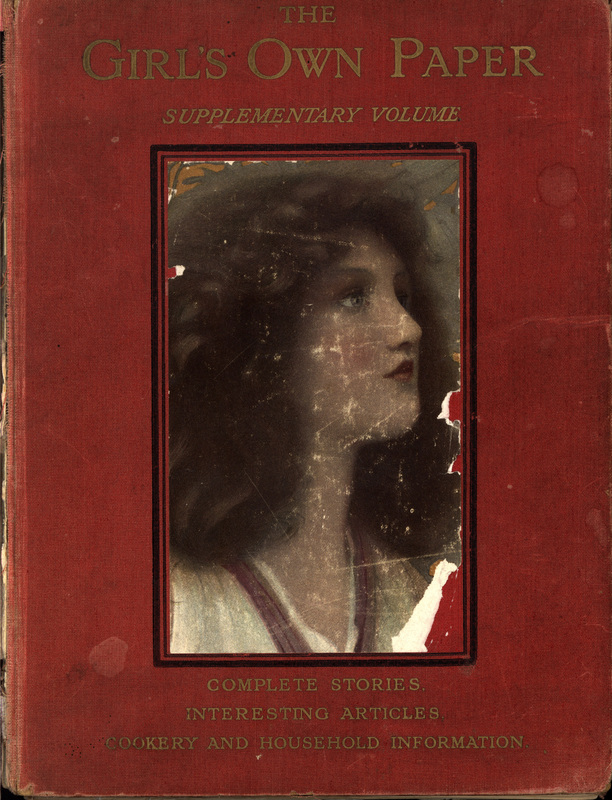 The front cover of The Girl’s Own Paper: Supplementary Volume [1911 – 1915] is composed of red cloth on cardboard with gold-stamped lettering and a pasted image of a girl's face. Part of the image has been torn off. In 1918, Pattie Simister gave this volume to her sister Grace Simister for Christmas. In 1968, Grace (Simister) Bosher passed the book on to her daughter Lorna Marsden. The Girl’s Own Paper: Supplementary Volume. Edited by Flora Klickmann, Religious Tract Society, . Religious Tract Society. Publisher ; Klickmann, Flora. 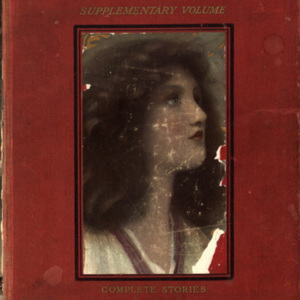 Editor, “Front Cover of The Girl’s Own Paper: Supplementary Volume ,” UVic Libraries Omeka Classic, accessed April 24, 2019, http://omeka.library.uvic.ca/items/show/1312.